Established in 2010, First Choice Window and Door Centre Ltd. has the windows and doors Penticton prefers. We handle new construction projects and both commercial and residential needs, with 100% guaranteed sales and installations. First Choice Window and Door Centre is locally owned and operated in Penticton, B.C. ; bringing you experience you can trust in your own backyard. We’ll promptly replace or install windows, doors, patio doors, skylights and more! We have a lovely selection of hardware from Emtek® and Taymor®, as well. Call us for a free consultation and a fast, free quote. Builders, architects, designers and contractors: Bring us your blueprints, your plans, your ideas! We’ll sit down with you and come up with a detailed quote for all your new construction jobs. 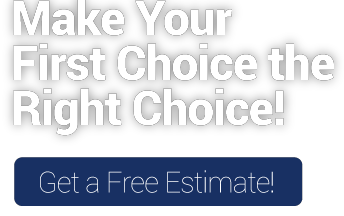 Call First Choice Window and Door Centre for a free consultation and a fast, free estimate. Your satisfaction is 100% guaranteed.